At Custom World, we do not use standard sized units. Our Walk-in wardrobes are fully fitted and are totally made to fit your room. We make it locally near Bournemouth to whatever size fits your Bedroom. Our bespoke bedroom furniture is totally built in from floor to ceiling. 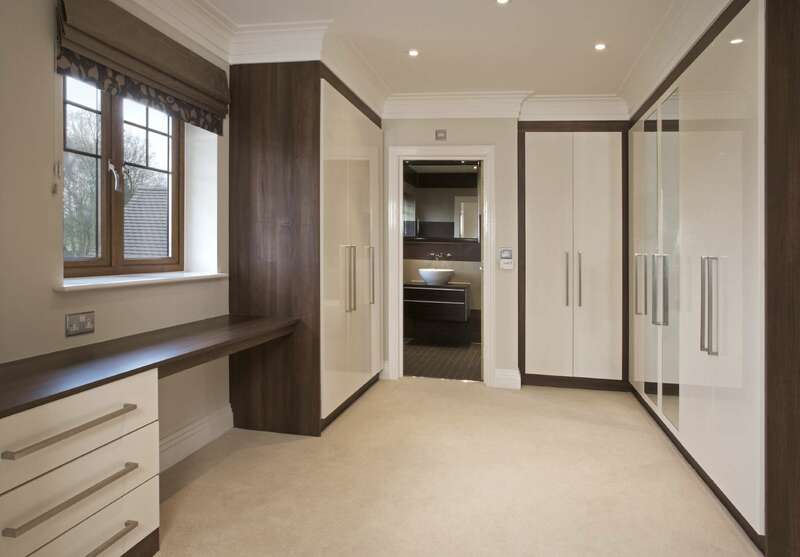 With our fitted furniture you can have a beautifully designed walk-in wardrobe fitted to the highest standard by one of our professional carpenters. Each piece of your furniture is made to order and is designed to fit the space you have. Each piece of your furniture is made to order and is designed to fit the space you have. 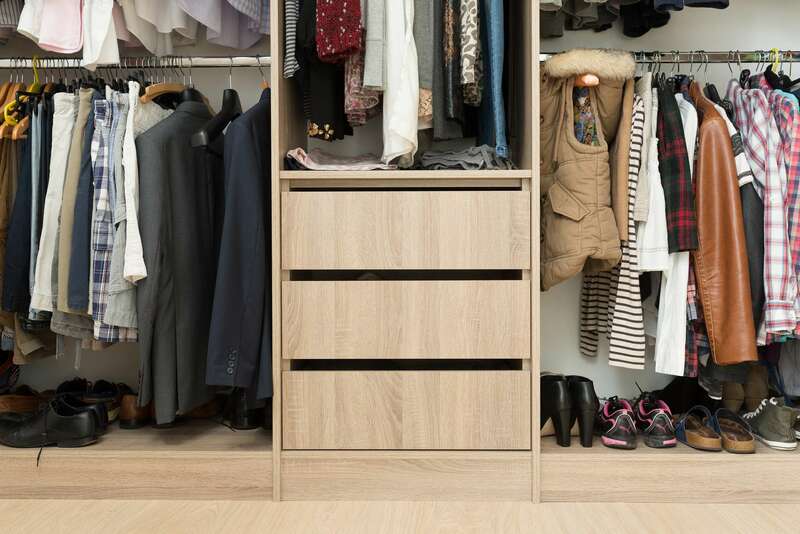 We don’t have fixed ‘walk in wardrobe designs’ because the designer will go through what you require beforehand and ask you what it is you have to store away before making a start with your design. Your designer will then design the walk in wardrobe around your requirements and the space in the room, paying particular attention to the styles and colours you like and what will best suit your style of home. Rest assured, you’ll get plenty of hanging space with hanging rails for both short and long dresses and skirts, hanging space for suits and shirts and ties; space for shoes and much much more. Your built in luxury also comes at an affordable price. 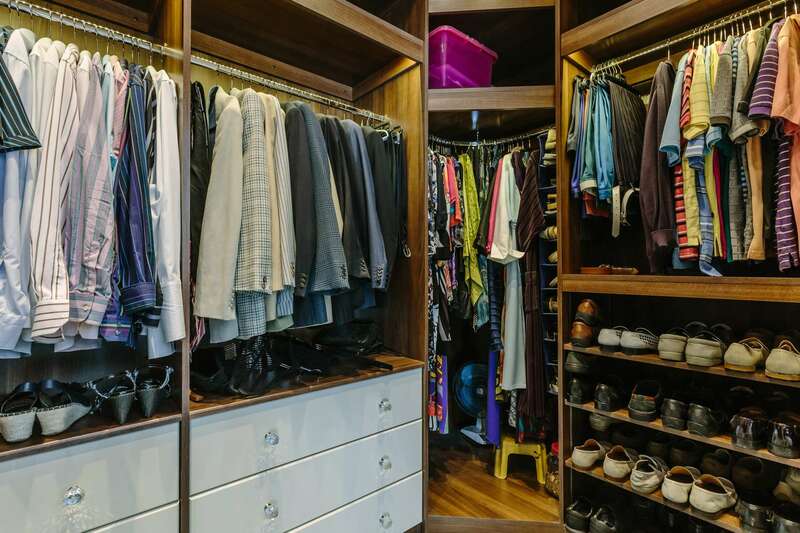 This walk-in-wardrobe was designed and fitted to exactly match the room space. Custom World will design, manufacture and fit your walk in wardrobe for you. Choose this wood effect finish in our Contour Range for a quality finish to make your new wardrobe stand out as sophisticated and modern. Rest assured, you’ll get plenty of hanging space with hanging rails for both short and long dresses and skirts, hanging space for suits and shirts and ties; space for shoes and much much more. 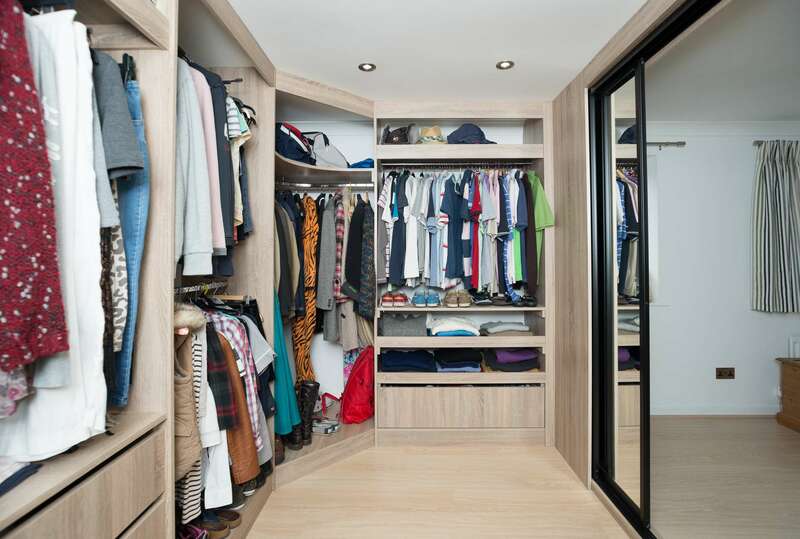 Walk in wardrobes can also be fitted with doors too if you’d prefer to hide away your clothes and shoes. 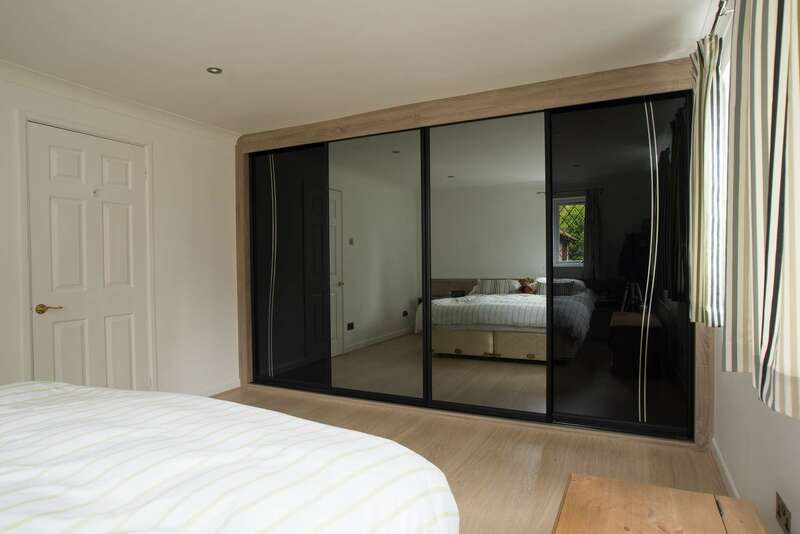 Have a look at our fitted bedrooms, sliding door wardrobes and accessories. 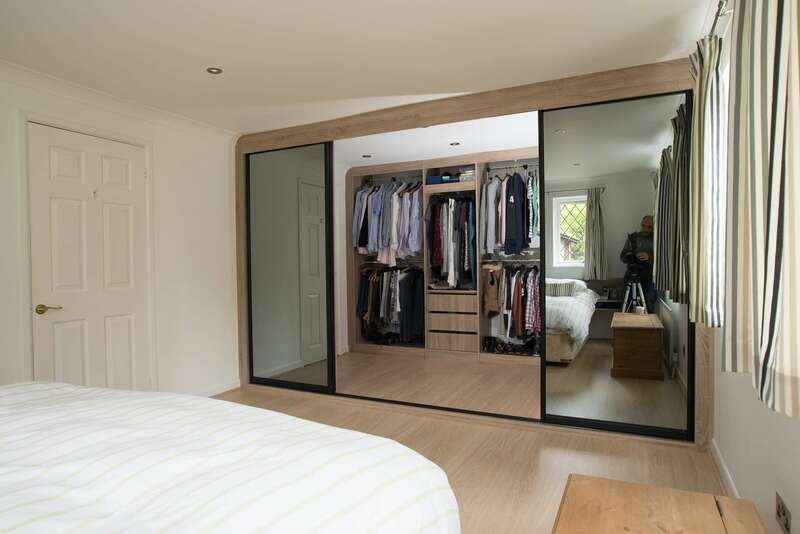 You will be able to walk-in to luxury and a managed storage solution – we will fit to any shape, size or design of room. Why not visit our showroom or call to book your free design appointment with one of our designers to discuss your walk in wardrobe solutions. Relax in the comfort of your own home, whilst our designer goes through our extensive range of options, highlighting the benefit of each, with the aim of helping you to design your ideal built in wardrobe solution, to perfectly match your personal living space.